In the first years, the Sound of Music Dinner Show was located beneath the castle. In 1991 The Sound of Music Dinner Show – as it was called back then – was founded by music director Franz Langer, former CEO of Salzburg Land Tourism Martin Uitz and CEO of Panorama Tours Stefan Herzl. The three entrepreneurs created a dinner concert with live on-stage performance of Sound of Music compositions combined with austrian dinner. 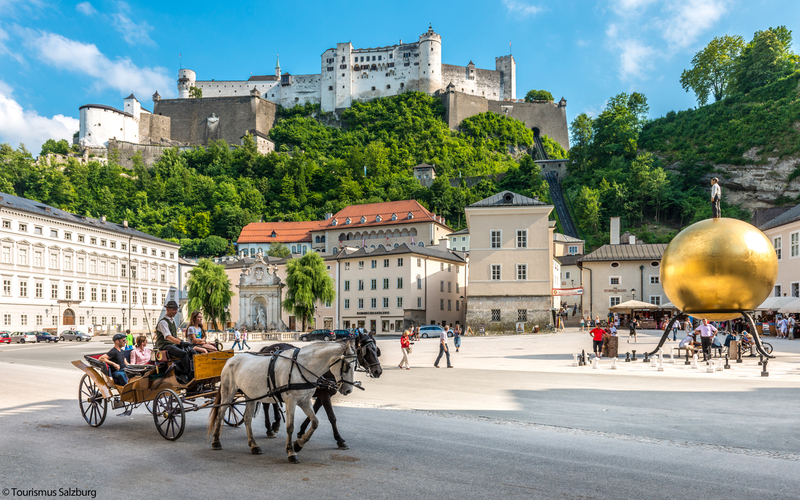 The Sound of Music Dinner Show staged daily from May till October in the big hall of the Salzburger Stieglkeller underneath the famous Hohensalzburg Castle. 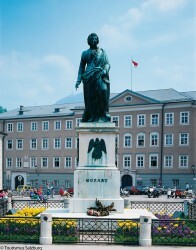 The show represents Salzburg and Mozart. 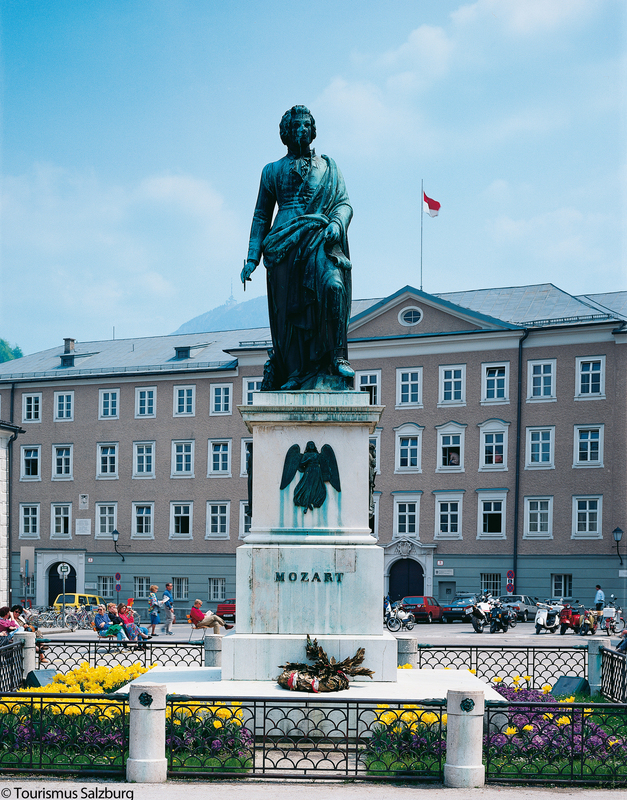 The success of the daily dinner concert and the tours brought a great variety of audiences to Salzburg. Until now, people from all over the world come to visit the event. Sound of Music in action. In the year 2000 the dinner concert moved from the Stieglkeller to the Sternbräu. With the change of the setting, Franz Langer decided to update the program and rename the daily event to „The Sound of Salzburg Dinner Show“, which featured more compositions of W.A. 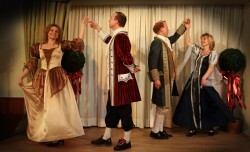 Mozart and Salzburg‘s operettas. A show, that even a stepdaughter of Maria von Trapp – also called Maria – used to visit several times. The show relocated in 2014. In 2014 new manager Roman Forisch took over from Franz Langer (since 1997 sole owner oft he show) and relocated the Sound of Salzburg Dinner Show to the historical landmarked building K+K Restaurants am Waagplatz. 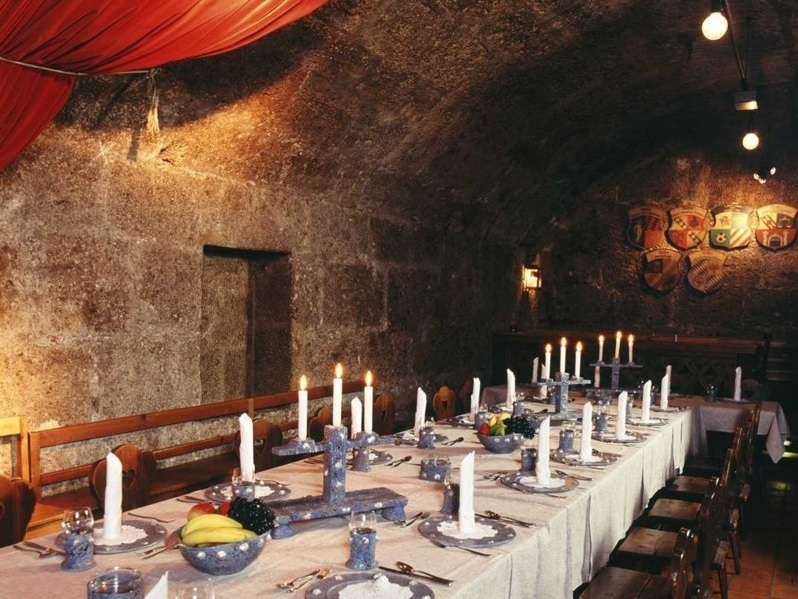 This move added a final piece to the cultural tourism highlight, providing future guests with high class dinner and an atmospheric medieval location.